Distinguishing Characteristics Caucasian female. Brown hair, blue eyes. Parker has an indentation on the side of her calf due to an accident, and scars on her left arm from an injury caused by a broken window. She has a previously broken her pelvis and chipped her tailbone. Parker may wear eyeglasses. Her ears are pierced. Parker was last seen in Quinlan, Texas on March 17, 1991. 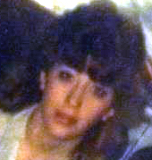 She was driving a blue and gray 1980 or 1981 Buick Skylark with Texas license plates at the time of her disappearance; it has never been found. She has never been heard from again. At the time she went missing, Parker lived with friends in Quinlan and worked the night shift at Flanders-Precisionaire, an air conditioning company in Terrell, Texas. She has three children, all of whom were under the age of six in 1991. She disappeared only a few days before her son's birthday, and she had been planning a party for him. When Parker's father found out she was missing, he told a friend who was a police constable, and the constable promised to file a missing persons report. Parker's sister also attempted to file a report with the Terrell Police Department, but the police logged it as a welfare check and not a missing persons report. It wasn't until 2010 that Parker's family found out no missing persons report had ever been filed. Her sister than filed a second police report with the Hunt County Sheriff's Office. Parker left her last paycheck behind, and it was eventually mailed to her father's house. There hasn't been any activity on her driver's license since 1991 and she never renewed her car registration. Her family believes she's deceased. Updated 4 times since October 12, 2004. Last updated April 2, 2018; picture added, details of disappearance updated.